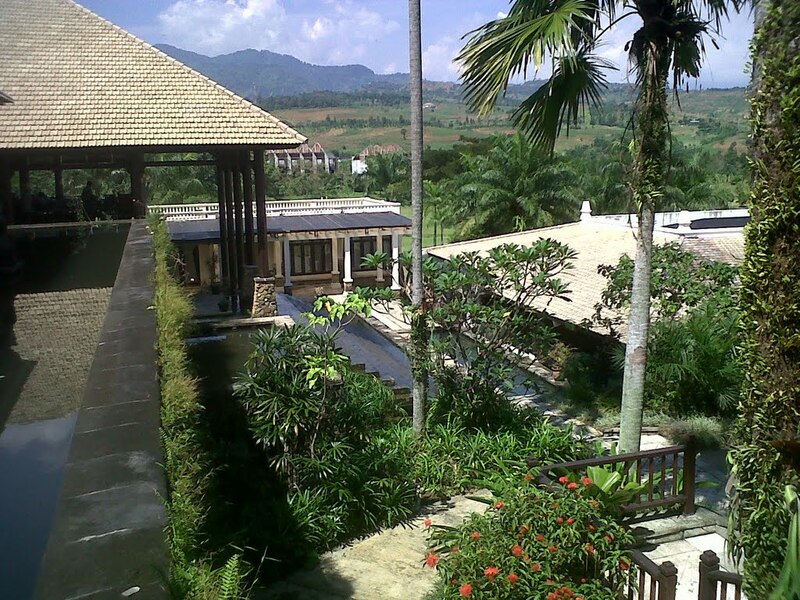 Sentul Highlands, designed by Gary Player, is located in Bogor area inside the Sentul City residential development. Sentul Highlands takes a little over 1 hour from Jakarta via the Jagorawi toll road and in 30 minutes from the center of Bogor. 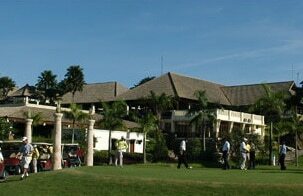 It was previously known as Mentari Golf Bukit Sentul. 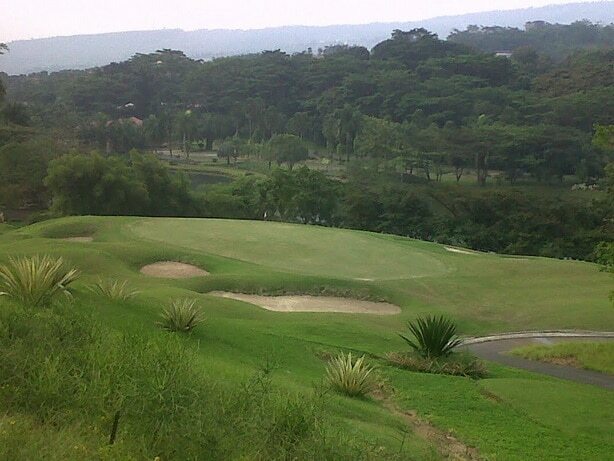 Constructed in 1997 the Bogor area course makes good use of the lands’ hilly terrain. 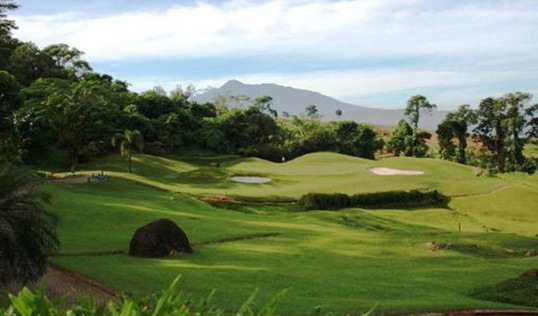 Many of the holes have panoramic views of nearby Gunung Salak and the Bogor foothills. The course is turfed with Bermuda grass and plays a short 6500 yards. Designed by The Black Knight to be a championship course, there are many different sets of tees to accommodate players of all abilities. Tee shots at Sentul Highlands reward precision over distance to accurately hit the blind fairways with tight landing areas. Picking a spot on the horizon on tee shots is no easy task. Fortunately, help from a trained caddie can pay off nicely and minimize any misjudgment errors. Greens are mostly small with subtle breaks, some of which are well-protected by deep bunkers. The signature hole is #12, which is a short but deceiving par-3. Large rocks stacked along the fairway and a green surrounded by bunkers give an extra challenge to an otherwise ordinary hole. The fifth hole is also a good one. Playing as a long par-4 or short par-5 it is handicap index 1. The hole plays uphill to a blind fairway and requires long drive on the right side of the fairway to have a chance of reaching the green in two. The second shot is also uphill and with a deep bunker guarding fronting an elevated green much more club than usual will be needed to reach in two. Many holes also play downhill with #14 being one of the stand-outs. Although short, the layout is a combination of a dogleg right to a small landing area and a downhill approach to a small well-guarded green. The tee shot requires a drive down the left side of the fairway to set-up for the approach shot. That said, the fairway many rock pilings flank the fairway, and it is easy to wind up in one if not careful. The second shot is also downhill to a green of two tiers. Get on the right side and birdy is a good possibility. The facilities at Sentul Highlands are quite adequate for golfers needs. The pro shop carries a full range of all major golf supplies. A driving range and 3-hole practice area are available for warming up. The latter includes two par-3 and one par-4 hole. Locker rooms are of the open layout. The on-site spa is located inside the locker room and will provide all types of treatments to fulfill every golfer’s dream. Two restaurants are available in the clubhouse one of which serves local dishes and another golfer café that also doubles as a halfway house. Sentul Highlands’ caddies are standouts. Well-dressed young females not only provide good course knowledge but also will pamper ensuring all golfers have a pleasant day on the course. 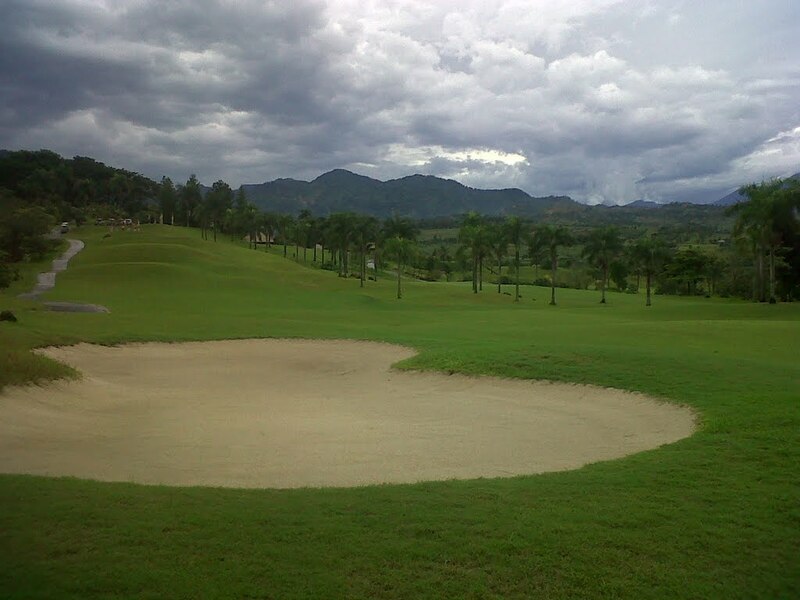 Have you played golf at the Sentul Highlands Golf Club and took some nice photos that you would like to share with other golfers? Send them to us and we may upload them here. Thank you in advance!